Welcome to the Party Pack Instructions page. This is your one stop shop! This page will give more instructions to your Party Pack. For instructions on how to apply, return to the Application Instructions page by clicking the button above. If you have any questions, you can reach us at support@halosmile.co or hitting the chat to the right! 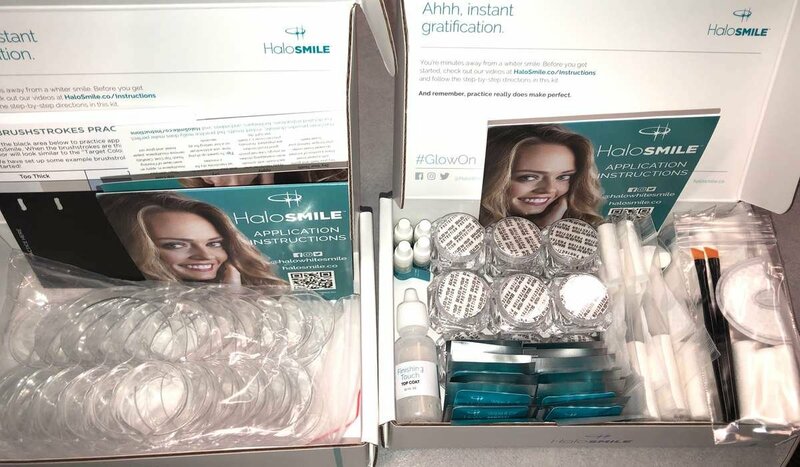 For your HaloSmile Party Pack, the application is the same as any other time you would apply HaloSmile. What comes inside your package is the main difference. All of your items for 15 people have been condensed into two boxes. Yup, that's right... we did that. 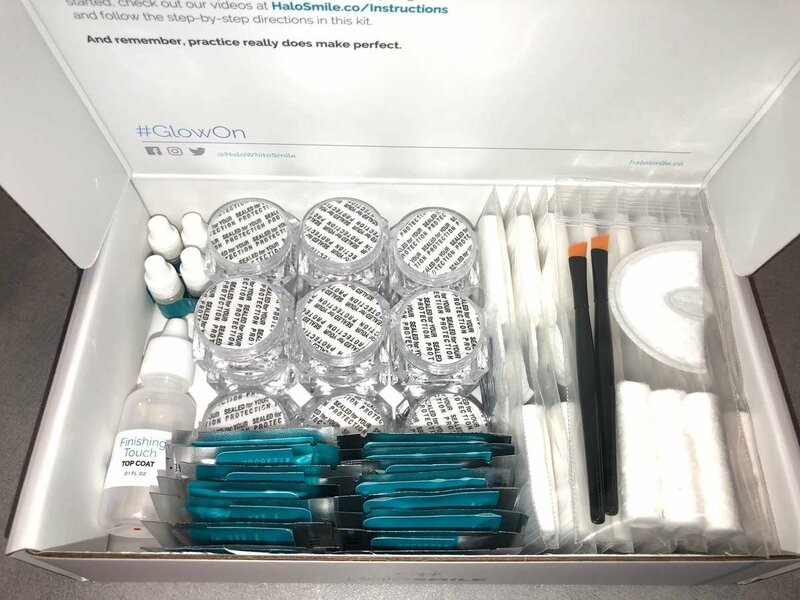 Each person gets 1 of everything except the Liquid Activators and Finishing Touch Top Coat. These are the two items where the instructions change. Liquid Activators: You still add 3 drops to your jewel but the liquid activator is shared with each person. Don't worry, you won't run out. You have way more than needed. Finishing Touch Top Coat: When you open your jewel, do not throw away the lid. Put 4 drops of the Finishing Touch Top Coat onto the lid of the jewel. Once you reach the top coat step, dip one brush into the liquid on the jewel lid and apply normally. Box 2 definitely isn't as fun as Box 1, but it's just as important. Each person will get their own mouthpiece and Brushstrokes Practice Pad Card. 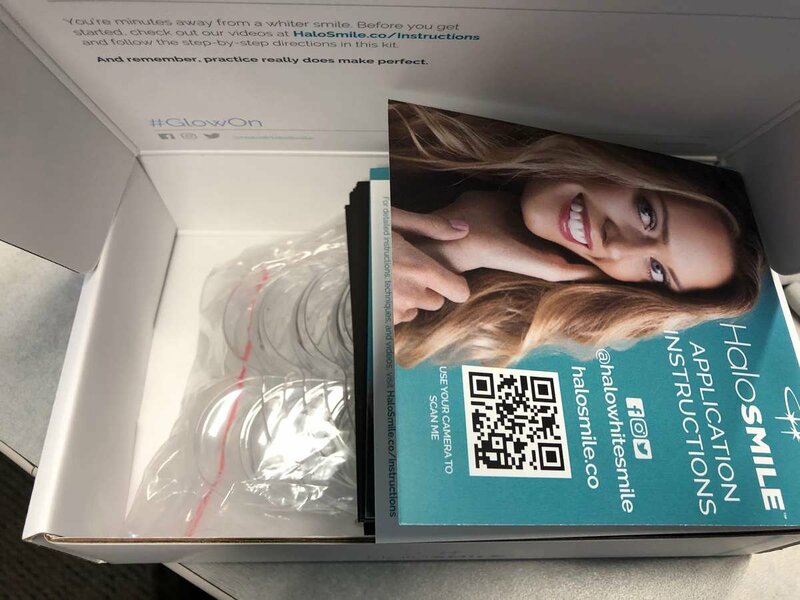 Application Instructions must be shared but can easily be viewed by everyone at the party by using their smart phone to scan the QR code on the front. Here, you can find the start to finish instructional video. This video will walk you through each and every step of applying HaloSmile. We want you to be as successful as possible. Remember, practice makes perfect, so don't neglect this video. Got a favorite social media platform? Is it Instagram? Facebook? Twitter? Pinterest? YouTube? Well we've got 'em all! We've made it easy for you to follow us... search @halowhitesmile and click that follow button.